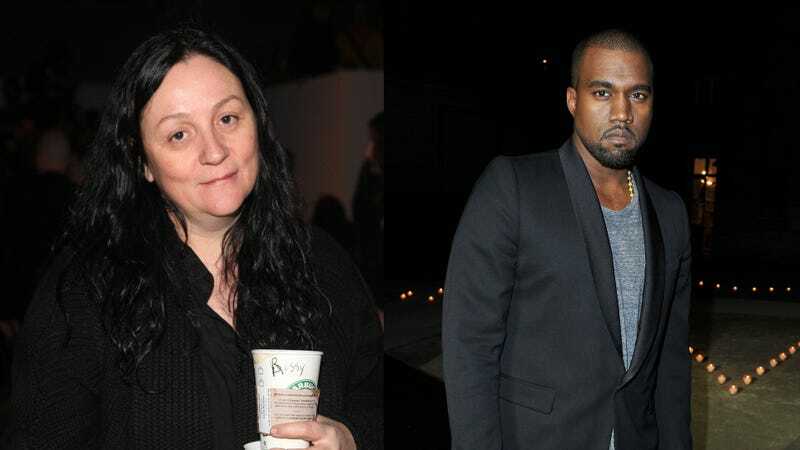 ANTM judge Kelly Cutrone threw a punch at Kanye West today, saying that being on the cover of Vogue doesn't make him a credible voice in fashion. After all, she said, Anna Wintour isn't putting out rap records (ALTHOUGH THAT WOULD BE AMAZING—WHAT EXACTLY ARE WE COMPLAINING ABOUT HERE?). "[Kanye West] is really arrogant. Anna Wintour, myself, Gisele Bundchen: we're not making rap records. We're not going 'E-Z-E, we're the most important thing to rap since N.W.A,' which I'm sure most of the people who follow Kanye don't even know who N.W.A is. Not to be mean… It's just like stop it. Have they had an affect on pop culture? Absof—kinglutely... Including myself, most people cannot go out and buy six pieces of Givenchy… So is Kanye West important in the fashion world? Maybe to Kanye. I mean he thinks he is, according to his quote: 'what Steve Jobs was to computers.' The Kayne I know was backstage at my fashion shows looking at Jeremy Scott's sneakers going 'Oh those are cool.' Anna Wintour can put him on the cover of Vogue all day long but is she front row at his fashion show? N to the O, which means no in fashion." 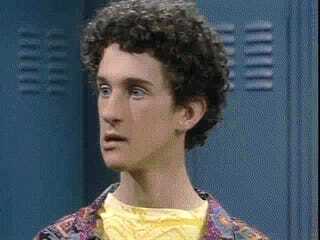 Dustin Diamond responded to being SLAMMED by Breckin Meyer and Mark-Paul Gosselaar over his upcoming SBTB tell-all movie. "Breckin Meyer was the one really going at it," Diamond said. "Mark-Paul gave the trained response we learned together at NBC when we were kids … Breckin Meyer was the one who went more off the handle. A lot of people do that for ratings—I don't know what his reason was for. But he even said, 'I've never met Dustin.' So how can he say these things when he's never met me?" In terms of the upcoming Lifetime movie, the former child actor assured The Daily Beast that it isn't sleazy, despite the catty first clip that was released last week featuring feuding teens. "I think when this movie comes out, it's going to surprise people because it's not salacious, it's not dirty, it's not negative," he insisted. "It's embracing all the positive things that happened and clarifying certain things. I think everyone's going to like it, including the other cast members."